What is the origin of self-sacrifice? Why were the arms of Tyrannosaurus Rex so small? Does natural selection really account for evolution? Why is homosexuality commonplace in the animal kingdom? You are not what you think you are. New research is transforming how we understand ourselves……. from a singular ‘self’ to a vast cooperative, co-dependent and collaborative network of cellular environments and ecologies, …..a microcosm within. From this unique perspective, a startling revision of evolutionary theory unfurls. Sharply reasoned and certain to be controversial, The Microcosm Within takes its readers on a sweeping scientific journey that reorganizes our thinking about our biological selves, evolution, and extinction. Darwin has dominated evolution for over a century. But many issues remain puzzling ……… What is the origin of self-sacrifice? Does natural selection really account for evolution? Why is homosexuality commonplace in the animal kingdom? Why were the arms of Tyrannosaurus Rex so small? Why do some species go extinct yet others endure? 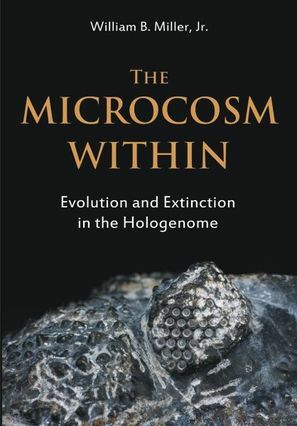 The Microcosm Within offers intriguing and profound answers by exploring our extraordinary world of cellular consciousness, connections and collaboration. Current research has unexpectedly revealed that all cells and microbes have elemental cognition and a previously unappreciated capacity for discrimination and awareness. From these faculties, cooperative natural genetic engineering is enabled; and it is from this starting point that biological complexity evolves. The Microcosm Within illuminates how immunological factors dominate evolution and extinction. Biology and evolutionary theory will never be the same. Dr. John S. Torday, Professor of Pediatrics and Ob/Gyn, Harbor-UCLA. Co-author, Evolutionary Biology, Cell-Cell Communication and Complex Disease Founding member, Evolutionary Medicine Program, UCLA. Why do you want to learn more?